What Makes Attorney Brad J. Balke Uniquely Qualified To Defend You? 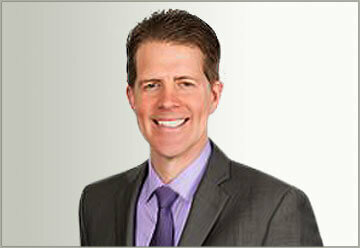 Brad J. Balke is a top-rated attorney practicing in the Chicago, Illinois area. Providing legal representation in Illinois for a variety of different issues, Brad Balke was selected to Super Lawyers for 2019. He is admitted to practice before the courts in Illinois. After completing undergraduate studies, Brad J. Balke attended law school. Brad Balke was enrolled at DePaul University College of Law. He earned a juris doctor degree in 2000. Brad Balke would be admitted to the practice of law in 2000. Attorneys like Brad J. Balke are recognized by their peers for their outstanding work and commitment to the spirit of the legal profession. Their knowledge of the law, professional work ethic, and advocacy on behalf of their clients allow them to stand out among other attorneys in the field. Brad Balke represents clients with Personal Injury – General: Plaintiff issues. Additional legal issues represented include Workers’ Compensation: Claimant. Home » Brad J. Balke, Esq.